and sometimes during volcanic eruptions or dust storms. silica sand into glass channels known as fulgurites which are normally hollow and can extend some distance into the ground. 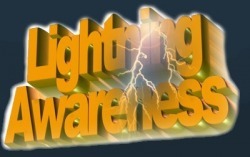 There are some 16 million lightning storms in the world every year. One of the Safety Reasons why a Car offers you Protection in a Thunderstorm. 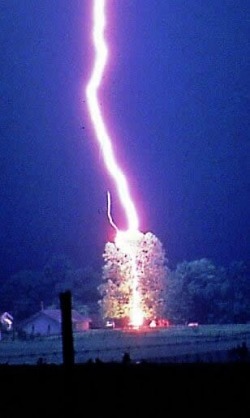 Below you see what Lightning does wenn it Strikes a Car. Never ever take shelter under a Tree !! Ground-to-cloud lightning is a lightning discharge between the ground and a cumulonimbus cloud initiated by an upward-moving leader stroke. It is much rarer than cloud-to-ground lightning. meets the positively charged ions in a cumulonimbus cloud. Then the strike goes back to the ground as the return stroke.